Someone should pitch him on the idea of a horror novel about an English guy trapped in Frankfurt. Chris Babu, who ran government-backed mortgage-bond trading at Deutsche Bank AG until 2016, has gotten used to funny looks when people hear about his career change. He now spends his time holed up with Buddy, his Great Dane, writing post-apocalyptic fiction for young adults from his home in Southampton, New York. He graduated from the Massachusetts Institute of Technology with a degree in mathematics, and worked at Bank of America Corp. before landing at Deutsche Bank in 2005, eventually rising to oversee 35 mortgage-bond traders and an $18 billion balance sheet. Fixed-income trading eventually got boring, Babu said. He blames everything from the Federal Reserve’s quantitative easing to the Volcker Rule and overzealous compliance units for taking the volatility, profitability -- and ultimately the fun -- out of the business. 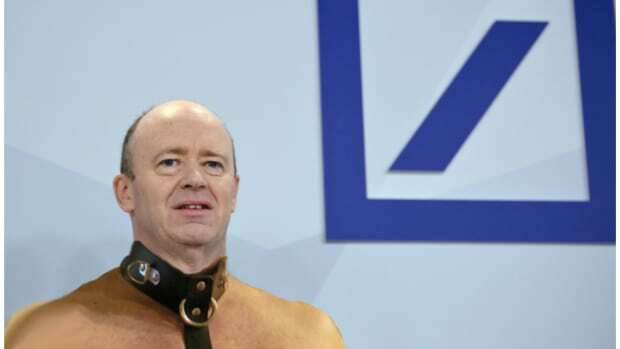 By the spring of 2015, Babu was winding down his desk at Deutsche Bank, which was reeling from more than $500 million in losses on bonds amassed by former trading head Troy Dixon. He was also spending large chunks of time in a dentist’s chair suffering through a series of root canals. He took to writing after work in his final months at Deutsche Bank, and stuck with that schedule once he left Wall Street, sleeping from sunrise to sunset and waking around 5 p.m. to work. The novel was partly inspired by what Babu called his “daily hellish commute” from Manhattan’s Upper West Side to Wall Street on the 2/3 subway line. The main character is a 16-year-old math geek who, along with five other kids, has to undergo a series of tests in the abandoned subway tunnels of Babu’s post-apocalyptic New York. You fail, you die. We&apos;re just going to assume his next novel will be even more Deutsche-inspired and center around a "They fail, you die" plot device.